2018 was an excellent year for pink diamonds, which garnered the highest prices of the year at auctions held at the three biggest auction houses in the world – Christie’s, Sotheby’s and Bonhams. During 2018, the three auction houses sold numerous extraordinary pieces of jewelry and diamonds. Now, when we can safely summarize the year, it is clear that pink diamonds were the most sought after stones – both in the final prices that they achieved, and in the particularly high average price per carat that were paid for them. Diamonds that are sold in auctions are usually one-of-a-kind and unique. Some of them are sold separately, and some are studded with jewels. One of the ways sellers maximize the selling price on these exclusive items is by selling them in auction houses. The most expensive diamond to be sold in auction during 2018 was the Winston Pink Legacy. The diamond originally belonged to the Oppenheimer family. Harry Winston, the company that purchased the diamond, changed its name. The diamond, a Fancy vivid pink, has a clarity grade of VS1 and weighs 18.96 carats. 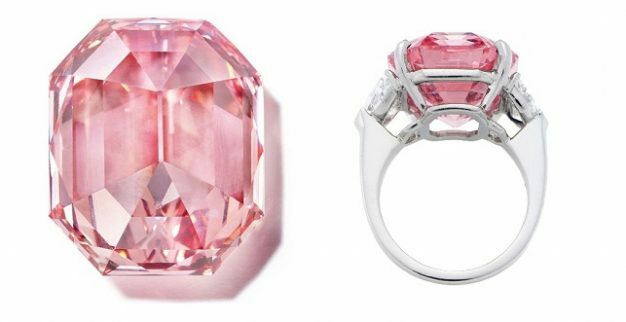 Embedded in a ring, the extraordinary piece sold for a staggering $50.4 million ($2,656,909 per carat) – a new world record for pink diamonds. A cushion-cut ring studded with a Fancy light pink diamond weighing 21.9 carats was sold by Sotheby’s in Geneva for $7,365,673 – the highest price paid for a special diamond in Sotheby’s in 2018. 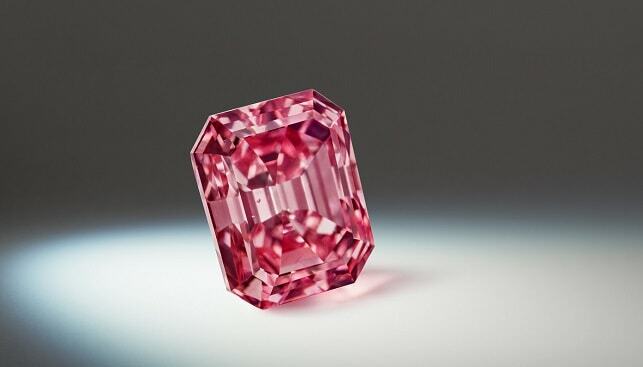 Another diamond that drew a record price is a Fancy pink weighing 5.03 carats, which was sold by Bonhams. The diamond raked in $2,935,263 and gained over half a million dollars per carat – $583,551 to be exact, making it most expansive diamond sold by Bonhams in 2018. Will pink diamonds continue to lead the diamond auction market in 2019? Time will tell. Stay tuned.